Sweet potatoes know no limits in this kitchen. I boil them in soup, I blend them in my smoothies, I roast them for bowls, and I make pancakes out of them. Seriously. The sweet potato is everything. 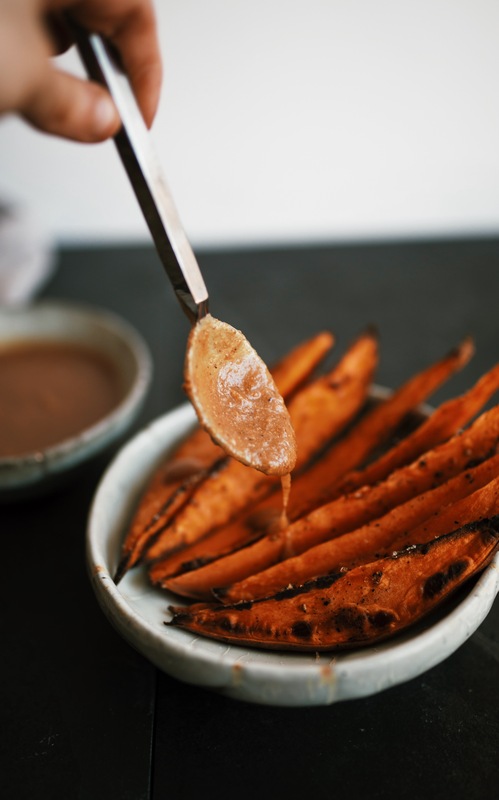 But today we are keeping it classic with one of my favorite, simple ways to enjoy the sweet potato—in the form of big, fries—or wedges. Paired with a sweet sauce, these potatoes will keep you dipping + munching all night. 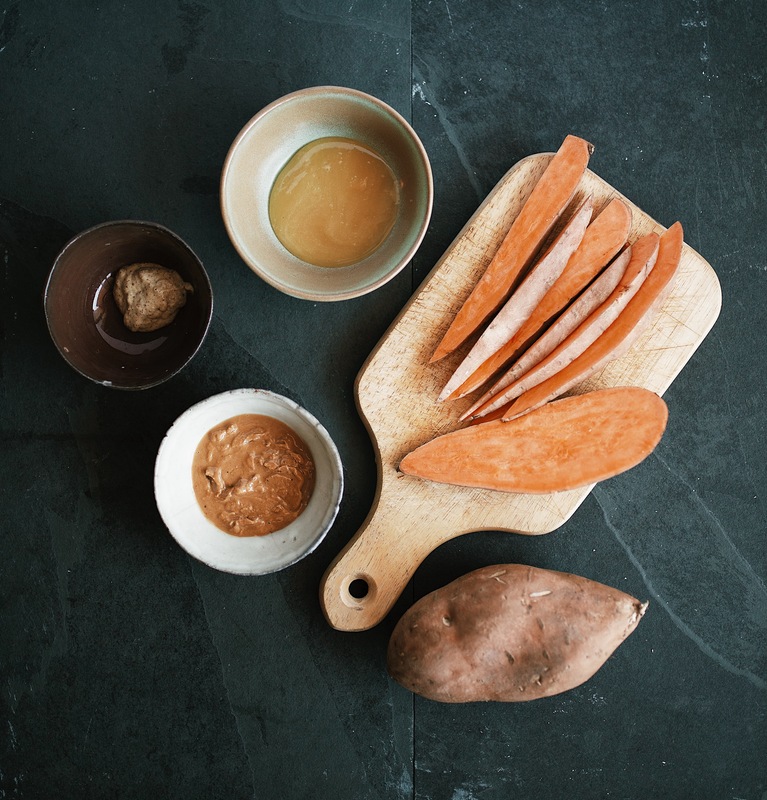 Let’s make Sweet Potato Wedges with Honey Mustard Dipping Sauce! 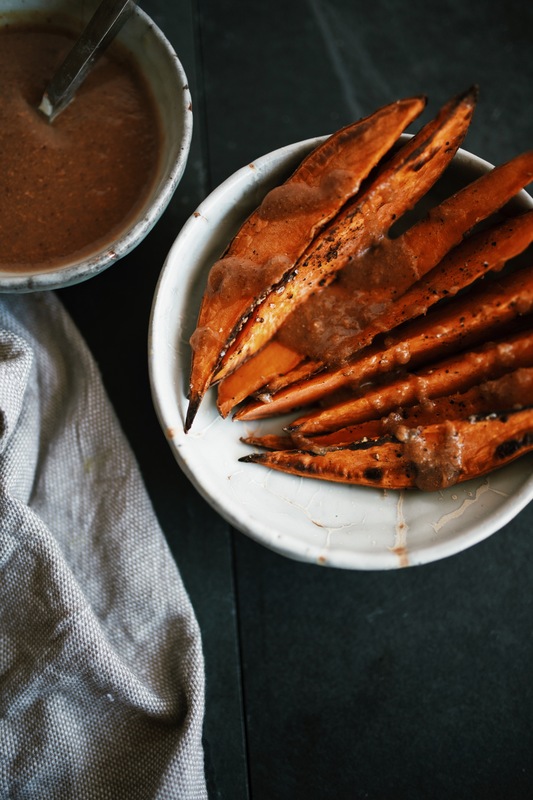 Roasted sweet potato fries is one of my favorite party appetizers. 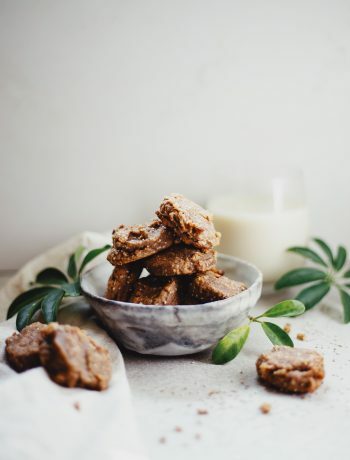 They are simple to make and have texture + flavor that is to die for. 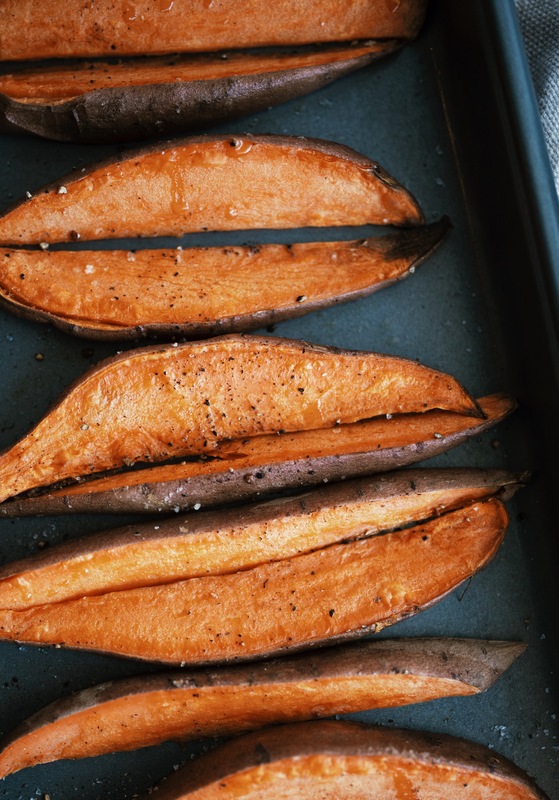 These sweet potato wedges are soft on the inside and crispy on the outside. They are sweet, savory + salty—what’s not to love? Along with a well-roasted sweet potato, the way to my heart is a good, homemade sauce. My honey mustard sauce is super creamy, naturally sweetened, and easy to whip up. If you’re looking for a sauce/dip that everyone will love at your next party, this sauce is for you! & Perfect for any occasion! If you enjoy this delicious appetizer, you might also like my parsnip fries, easy cashew queso, colorful spring rolls with peanut sauce, or vegan backed chili “cheese” fries. 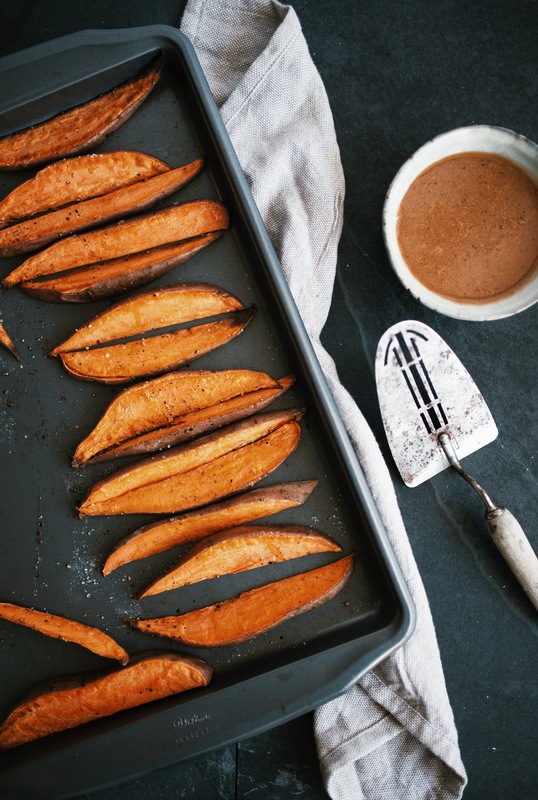 Today I am sharing one of my favorite, simple ways to enjoy the sweet potato—in the form of big, wedges. Paired with a honey mustard dipping sauce, these potatoes will keep you dipping + munching all night! 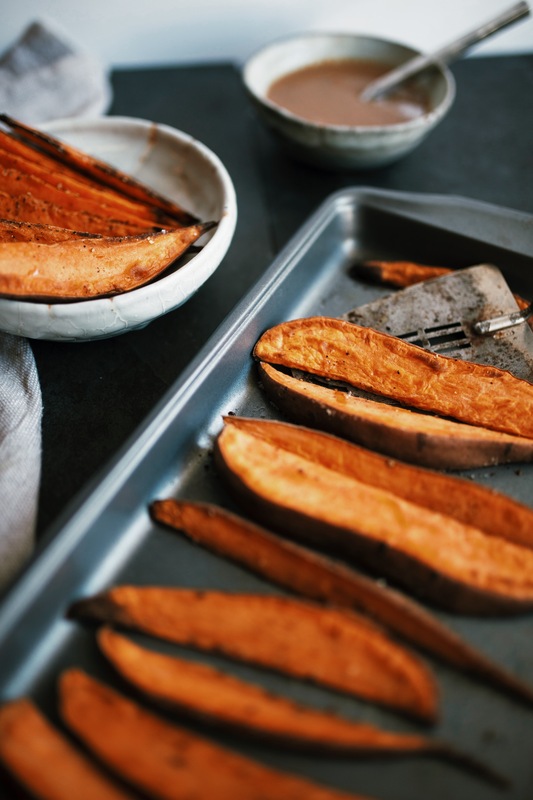 On a large baking sheet, toss sweet potato wedges in coconut oil until well coated. Sprinkle with salt and pepper. Arrange evenly so wedges are not overlapping. Bake for 25 minutes, or until wedges are dark golden on the outside and tender. Flip wedges half way through the roasting to ensure evenness. 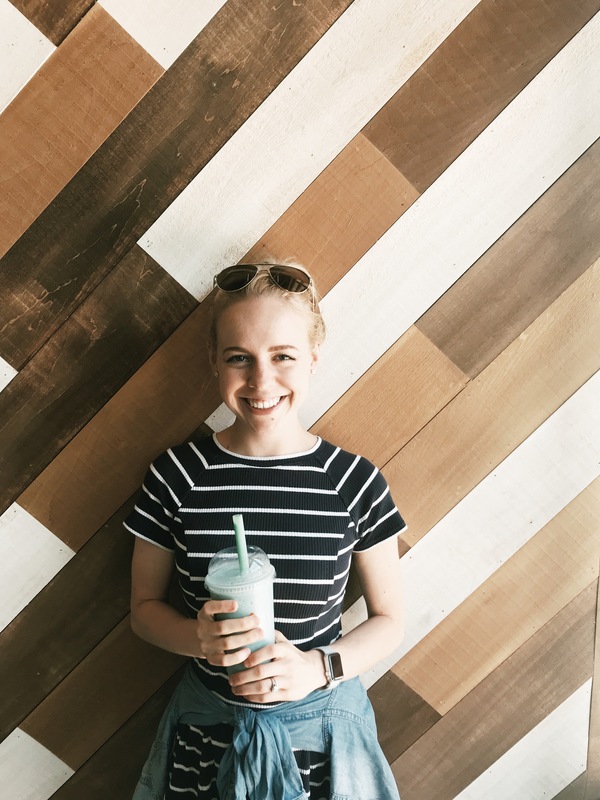 While potatoes roast, prepare the sauce by combining cashew butter, mustard, honey, milk, salt, and pepper in a small bowl. Whisk until well combined. 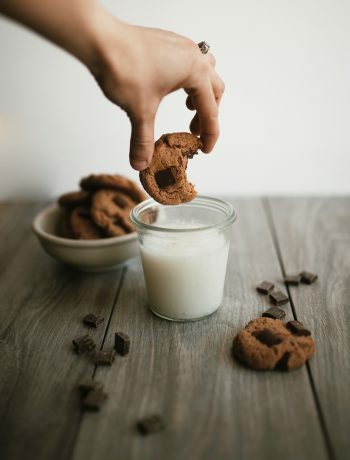 If mixture is too thick, add a splash of water to thin. Serve sweet potato wedges warm with honey mustard sauce. Leftovers will keep refrigerated in airtight container for up to 3 days—though best served fresh. Reheat fries in oven for best second-day results.